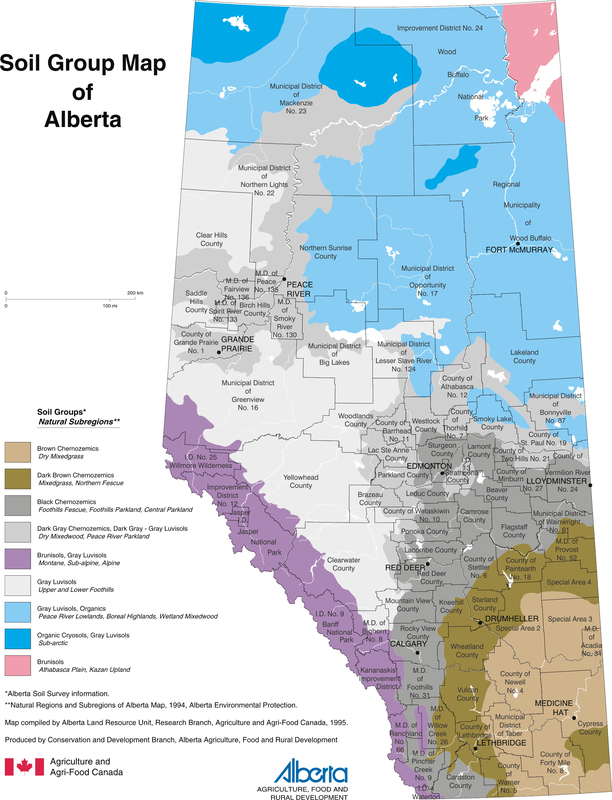 The distribution pattern of soils in Alberta is strongly linked to climate, vegetation and parent materials. Brown Chernozemic soils are found in the South East part of the Province give way to Dark Brown, Black and Dark Gray Chernozemic soils as one travels in a northwesterly direction. Gray Luvisols are found in upper and lower foothills and Brunisols are found in montane, sub-alpine and alpine areas. Organic soils are found in the northern part of the province. Click here to download the PDF file (800k) version.